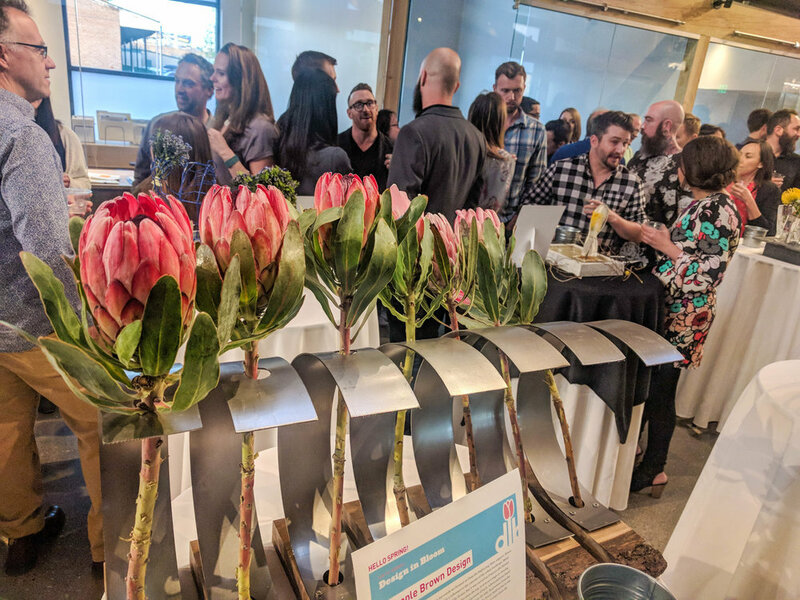 Design in Bloom is one of the largest and most well-attended events for the Denver architectural community. 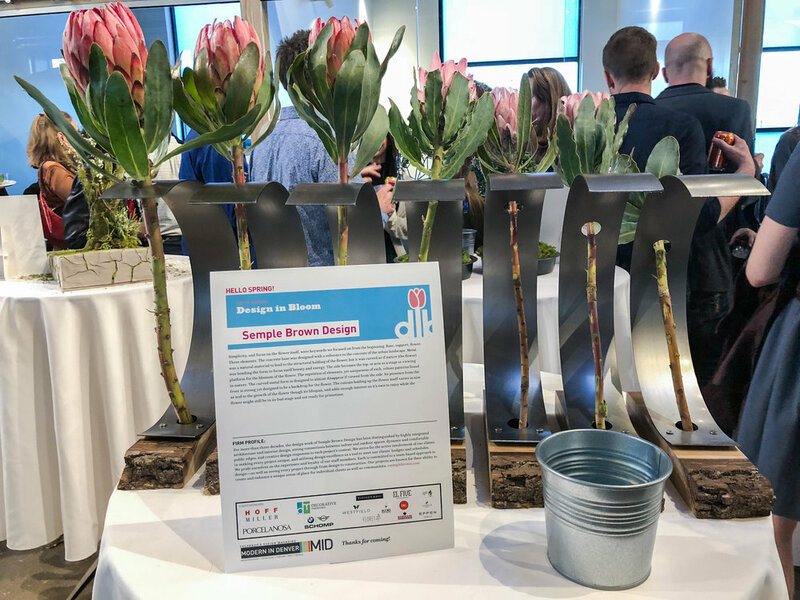 With over 600 attendees and going 6 years strong, this year marks a first for innovation and design at Design in Bloom. 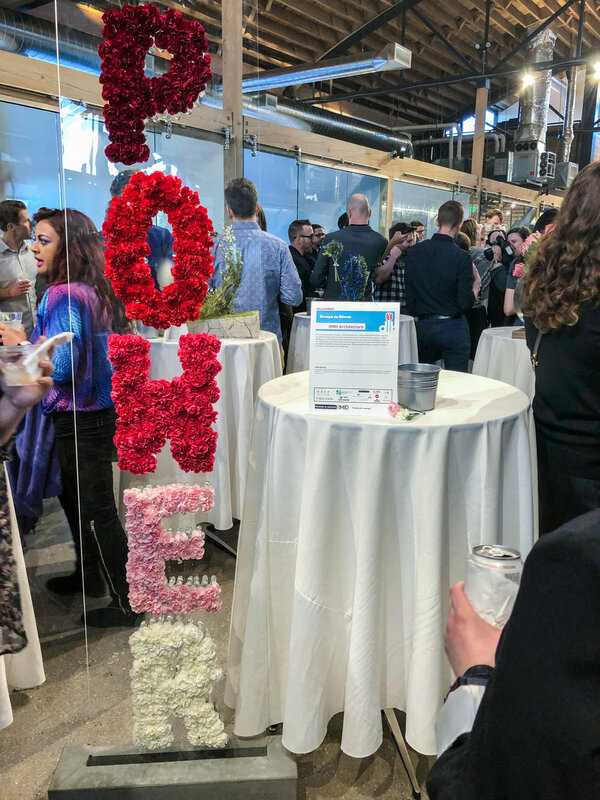 AE Design teamed up with Oz Architecture to create a floral arrangement that integrates LED lighting seamlessly into the design. 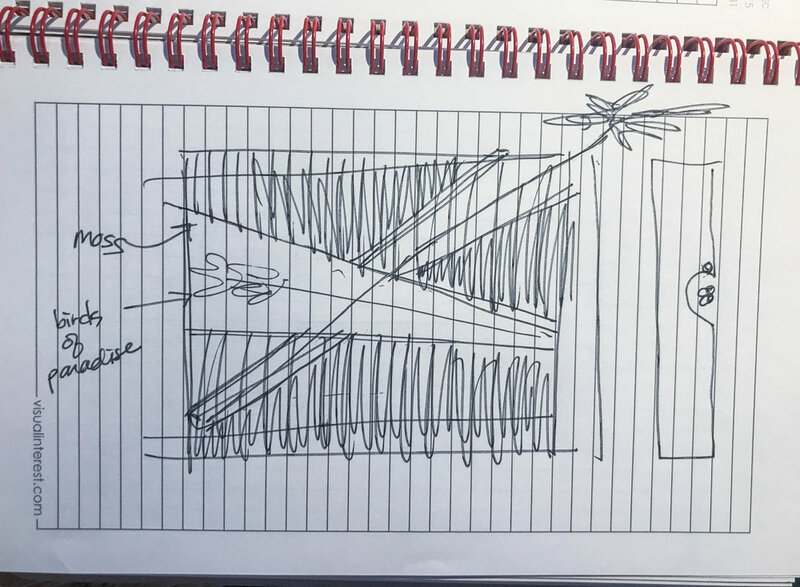 The team met to charrette initial concepts in April, and came up with several compelling options. After reviewing fixture samples and understanding construction challenges and constraints, the team decided on a dynamic stacked wood “void” design, with a succulent and moss arrangement highlighted from above by a concealed linear LED tapelight. The team continued to develop the design together, working out design details including finishes, LED color temperature and output, architectural elements to conceal the view of the fixture, electrical connections, and a concealed power feed. 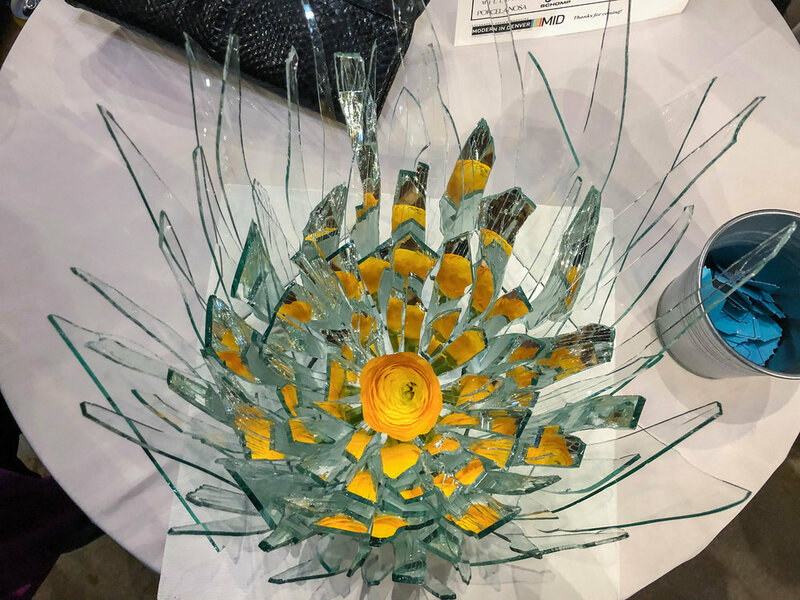 With 15 entries this year, special attention to detail with lighting made our collaboration stand out, and captured the Judges’ Choice Award! 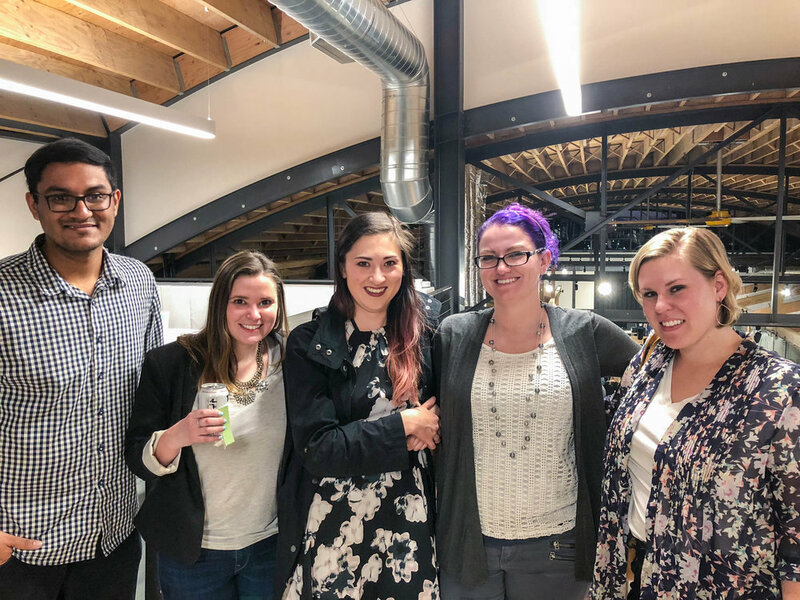 The event was held at Westfield Company’s brand new office space [4221 Brighton Blvd in Rino], of which AE Design was the lighting designer and electrical engineer [architect + general contractor: tres birds workshop]. Congrats to all of the participants and winners, including 4240 Architecture [Popular Choice #1] and Dynia Architects [Popular Choice #2]. Big shout-out to Modern in Denver for pulling together such a fun and unique event. 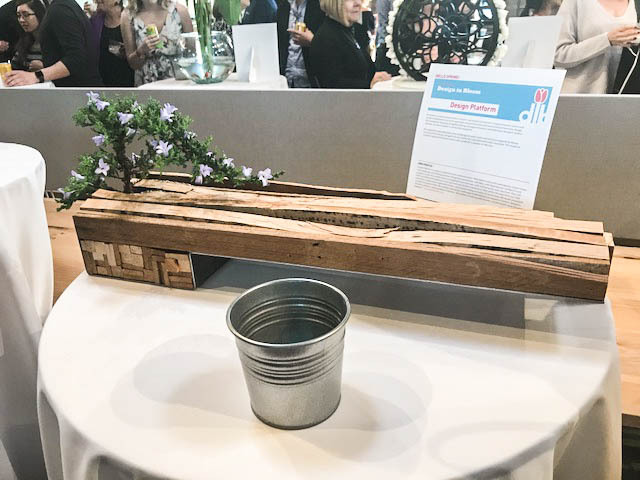 Take a look at the design and progress shots above and event photos below, and see even more on Design in Bloom write-up.